Story added: 05 Dec 2006 20:25. Last updated: 05 Dec 2006 20:25. Talking to users of the Walkman range of phones they are hard to beat. The W810i is especially liked by the many rather than the few with our review questioning "we can't think of a real reason why not to let it play the soundtrack to your life". So when the Sony Ericsson said it was going to send us a W850i for review we couldn't but help get excited. All the benefits of the W810i but with 3G support and a slider design so the keys aren't accidentally pushed - what could be better? Well after getting it out of the box, a lot it seems. The phone, which measures 98 x 47 x 21mm and weighs 116 grams, is overly large compared to the W810i and other 3G Handsets available on the market was clunky to use to say the least. The front, while dominated by a large colour screen, has a hard to push button system with an over confusing array of buttons. Those buttons, which are a mishmash of dedicated ones and an all-controlling d-pad are stiff to the touch and you really have to push down hard to get any response. Trying to inject some style and colour, there is a large horizontal button that takes you straight to the phone's music player, however this has a guard on the top so you can only press it from below. It????? ?s a strange default option, because we can't work out why there is a protective bar on the device. Open the slider and you are presented, luckily, with a regular number pad and this was easy to use on its own, but because of the size and depth of the unit, jumping between the two levels does take some getting use to. Inside and it's business as usual with the main focus being on the phone's music capabilities rather than the array of multimedia features like a 2 megapixel digital camera that it offers. 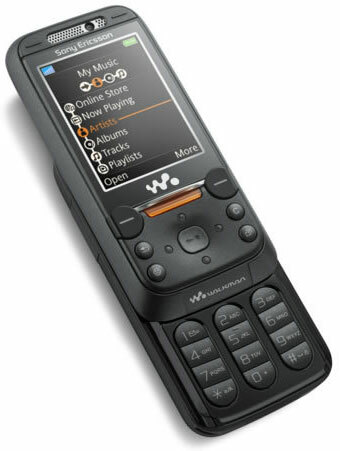 Like other Walkman handsets the W850i includes TrackID which allows you to record a few seconds of a song through the microphone and then works out what it is, rather like Shazam. Other music focused features include the bundling of a 1GB Memory Stick Pro Duo card as standard this really can replace your iPod Shuffle or small MP3 player. Having loved the W810i here at Pocket-lint we wanted the W850i to build on that love and give us a product that we would be reluctant to send back. Perhaps we were asking too much, but a clunky bulky design and confusing interface makes this nothing to get excited about. As for the size, we can't believe it's so big. The main reason for opting for the W850i over the W810i is the size issue and in our experience, 3G just isn't worth the size increase. Our advice. Stick with the W810i for now.